Although last year, Dad did not wear his wool pants as much, we usually look like twins when we head off into the woods. It's our hunting uniform. 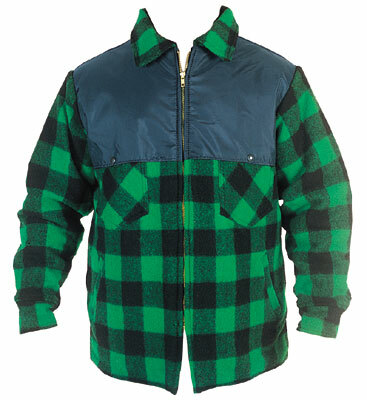 So, when I was shopping for baby clothes hangers and I saw a red and black plaid fleece pull over, I had to buy it. Had to. Sure, it is for a 24 month old and I have about 26 months until the baby will fit into it, but it was a small hunting uniform that I needed to buy. I quickly found out that the monthly sizing on clothes meant nothing... but my daughter was always at the top of the charts for height and weight... but don't be surprised if he can wear it before then!